1. Sugar Coma Cookies. So I have this gal pal that I've known since we were tiny little kids. She and her twin sister and I used to pal around while our moms spent time together, as they've been long time friends, too. We both grew apart as we got into the adult years then reconnected when she was pregnant with triplets and I was pregnant with quadruplets. I mean, what are the odds, right?! Mary is super creative and highly talented, not just in motherhood, but in just about everything she sets out to do. Thus it's been no shocker that she started decorating sugar cookies one day and literally one year later, her sweet treats are the hot commodity! 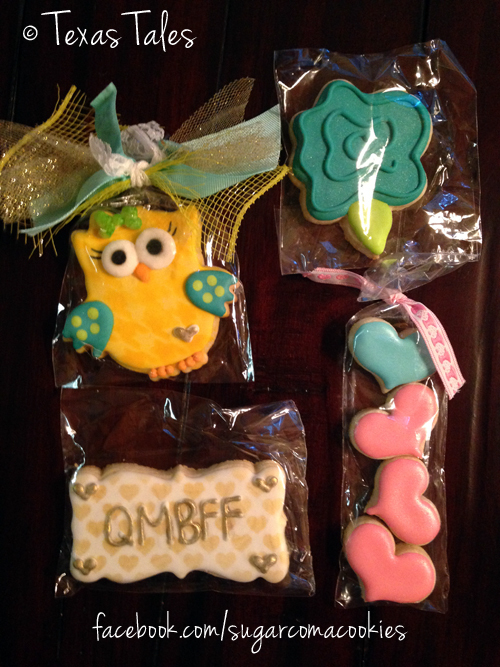 She created some beautiful cookies for my second annual QMBFF—short for "quad mom best friends forever"—trip and we just about died over them. So delicious and perfect to look at. (And more on that trip very soon, as it's one of the reasons I've been MIA lately!) The hearts represent my three girls and one boy, and she also made us QMBFF ones, too. Love, love, love this girl, her kiddos and her cookies! 3. 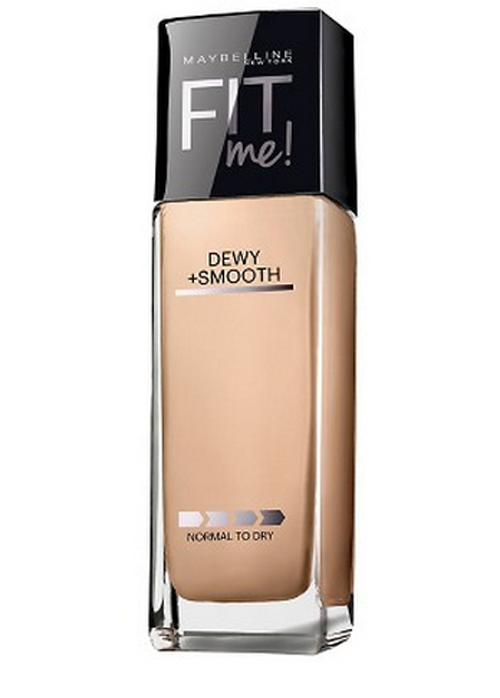 Maybelline Fit Me Foundation in Dewy + Smooth. This fab stuff is my new go-to for the face. I was tired of dried out skin and not looking fresh, but this foundation literally makes my face look dewy and moisturized without being greasy or shiny. And it lasts all day! Tip: This looks extra good when I wear it with my fresh, peachy Milani blush in Luminoso. 5. 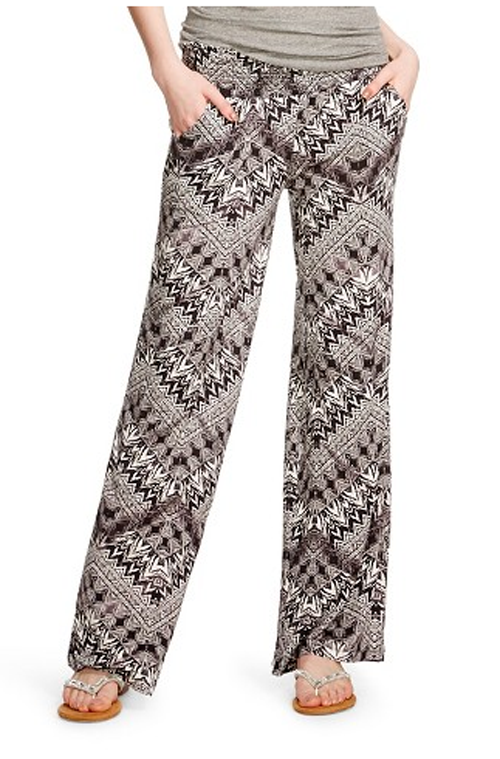 Printed Knit Palazzo Pant in Vintage Black. If you've checked out any of the links I've provided for all this stuff, you'll notice the Target trend I've got going on right now. Seriously, several of my cute new clothing items for summer are from Target and who doesn't find 458,453,940 things you don't need when you browse the aisles slow enough to admire everything!? These pants are soft knit, thin material so they're warm weather-appropriate, and have small pockets. I wore the vintage black patterned ones on the plane and loved them so much I bought a solid black pair, too, so I can pair it with turquoise or pink tops. Comfy, stylish and stretchy waist banded! 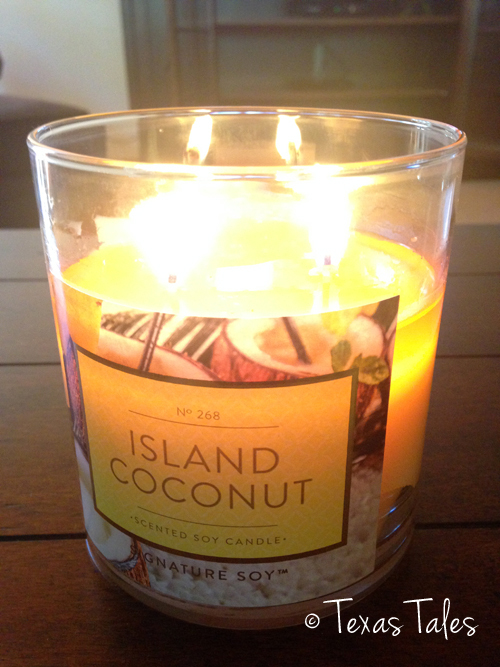 What's one of your most favorite things right now!? Glad to see you back, cannot wait to read all about your "Quads Mommas Getaway", I am sure you all had a great time. I am still using and enjoying St. Ives Hydrating Creamy Coconut Body Wash. I've missed your updates...trying to get back into blog land. That photo of you is great ~ you look stunning! Glad you had a getaway! 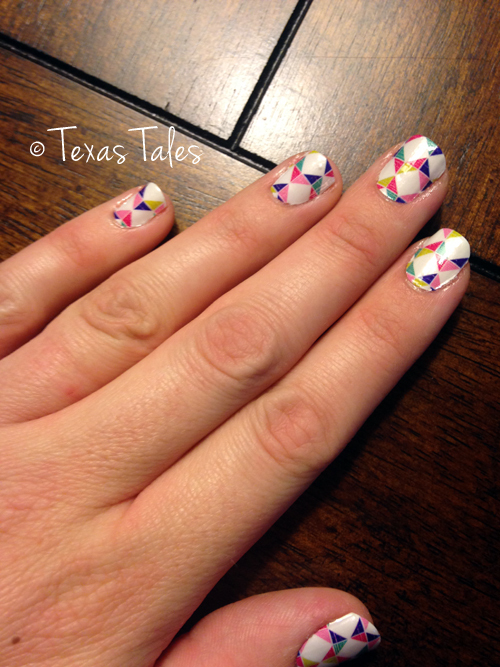 If you are loving the Sally Hanson polish strips right now, have you ever tried Jamberry nail wraps?! Check out my website http://lsumner.jamberrynails.net browse around and look for the adorable mommy and me coordinating/matching wraps! You and your girls would LOVE them!! A Quad Mom Needs Her BFFs!